Development vision for Kaoh Tang, Cambodia – Green Space Alliance | Urban designers | Planners | Landscape Architects. 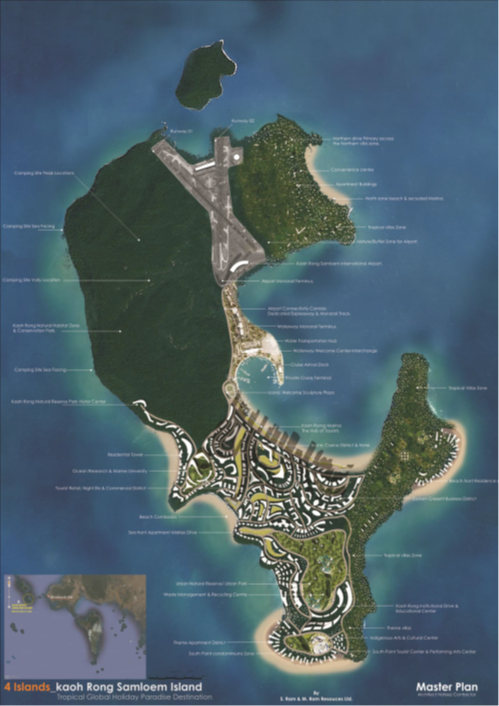 Ram and M. Ram Resources Ltd.
GSA was approached by SRAM & MRAM Resources Ltd. Group in collaboration with architects to prepare a Development Vision Report for four islands within Cambodia. 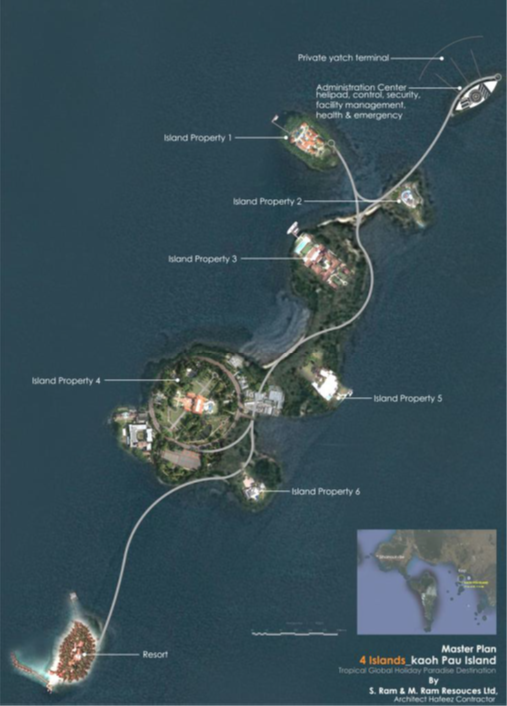 The Development Vision focused on identifying the development potential of each island with regards to understanding local and international market needs for attracting property investment. GSA’s design team prepared the Development Vision Report and defined the strategic direction for each island relating to aspects such as property market, tourism development, mixed use development, transportation, and environmental preservation. Comprehensive Master Plan Reports and Urban Design Strategies were prepared for the Islands of Kaoh Tang, Kaoh Rong Samloem, Kaoh Kaong Kang & Kaoh Pou. These Plans have been submitted to the Cambodian Development and Governmental Authorities.